Holly Bruce began her yoga journey in 2002 while studying at the San Francisco Conservatory of Music. After sustaining a back injury, she became interested in a therapeutic approach to yoga. She became certified in the Integrative Yoga Therapy tradition (IYT-250 hr) in 2005-2006 and opened a private practice in Mill Valley, California, teaching students of all ages (Spirit-Mind-Body Yoga, 2007-2011). She studied bodywork (Diamond Light in San Anselmo California, 2010) and practiced therapeutic massage, among other spiritual healing arts. 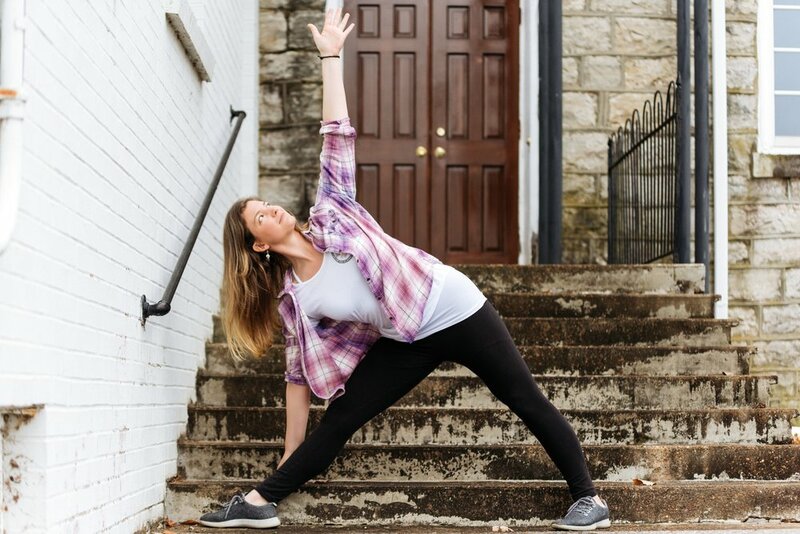 Holly began regular studies of Iyengar Yoga in Nashville and opened Amazing Grace Yoga of Hendersonville in Fall 2011. Holly has hundreds of hours of weekly classes, workshops and teacher training course experience in her 12+ years of yoga teaching. She started teaching Iyengar style yoga almost 5 years ago and currently makes steps towards certification in the Iyengar Yoga tradition. Her classes follow studies of this world renowned practice. She also devotes many hours towards her spiritual practice and studies, traveling nationally and internationally.